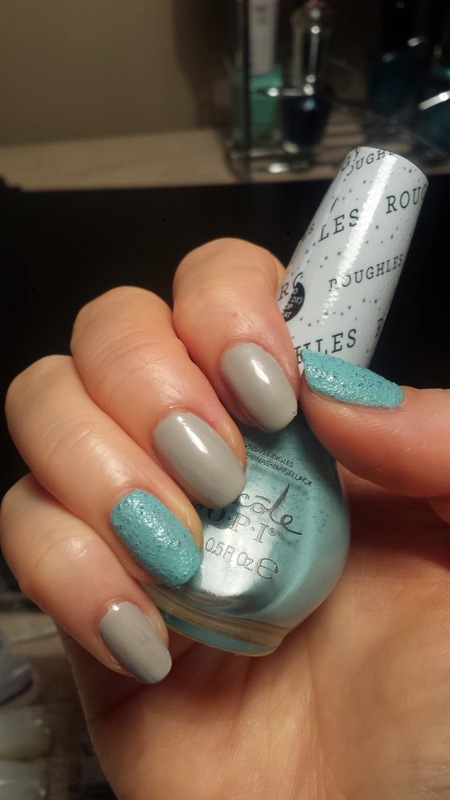 I am in love with textured/sandy/grainy nails! 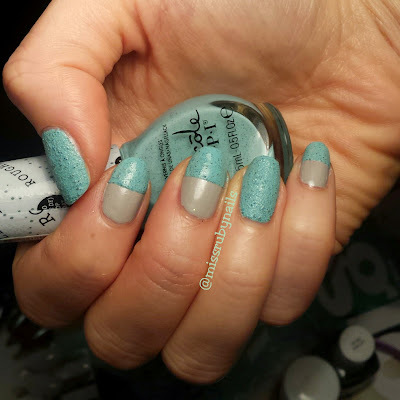 This Nicole by OPI green textured polish was my very first bottle of these fun sand effect polishes. From then on, I almost had to get every polish that I see with some sort textured finish! This Tiffany/mint green one has great amount of "sand/grain" in it and you can easily see or feel the texture when it is dried. The color is quite opaque as well, you can almost get away with one coat. But here I used two coats to make sure I get a solid color. Love the quality of this polish! Oh, and it has a great staying power too! On the grey base color nails, I put a piece of tape on the completely dried polish and painted on 2 layers of the green. Simple and clean!